Candidates aspiring to win a seat in local elections may lead candidates to act instrumentally. 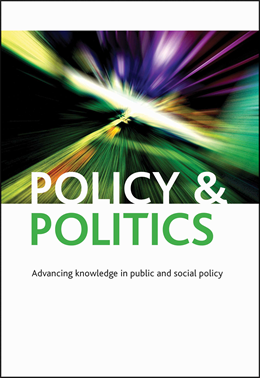 In our recent research published in the journal Policy & Politics, we question whether leaders of non-profit organisations (NGOs) may be willing to set aside NGO values to adopt party values when they become candidates for local office. Our answer is yes. Our results suggest that the most important factor relating to whether a candidate was elected was the national standing of the relevant political party; local values on local issues were found to be irrelevant. Our analysis of 355 local candidates in Prague, Budapest, and Bratislava shows that many aspiring politicians, including non-profit leaders, made a strategic calculation to adopt core party values in order to improve their prospects of success in running for election in local government. This was the case for all political parties surveyed, irrespective of their right or left wing positions on the political spectrum. Our results suggest that there is still a significant attachment to national politics at the local level, and while formal decentralisation may have taken place, the decentralisation of politics in larger cities in central Europe is still underway. Thus, it casts doubt on the scope for effective local collective action. Our results are significant within the context of problematic central European relationships between civil society and NGOs on one side, and central government on the other. Our study contributes to leadership research in two respects. First, it shows that sets of values are involved in leaders’ strategic thinking and that leaders are willing to adopt new sets of values and rules instrumentally, in order to facilitate their own success. Second, the irrelevance of adopting party values for the likelihood of being elected underlines the importance of studying voting behaviour as the key to understanding how voters may facilitate or hinder political leadership. Oto Potluka is a senior researcher at the Center for Philanthropy Studies (CEPS) at the University of Basel, Switzerland. Among his main concerns belong relationship between nonprofit and public sectors, and impact evaluations of intervention programmes. He concentrates on the regional development, including of role of the civil society in development policies. Marybel Perez is a senior researcher at the Center for Philanthropy Studies (CEPS) at the University of Basel, Switzerland. Her previous appointments include adjunct lecturer at Parsons: The New School for Social Research in Paris and at ESSCA School of Management in France. She was research fellow for Eurosphere, a 6tj Framework Programme of the European Commission at the University of Bergen, Norway, where she obtained her PhD.